Posted 11:48 am by ssystems & filed under Articles, Blog. The last 15 years on Wall Street stand as a monument to technological innovation, data analysis and accelerated performance. But despite the size of their balance sheets, these advances were not initially brought forth by household Wall Street names of the time. Instead, the rise of electronic trading that has helped democratize market access and bring greater transparency and public participation to the capital markets was fueled by smaller, more nimble, lesser known firms. However, now many of these entrepreneurs and new players are being harmed by the same technology we helped create — market data and exchange access costs that have risen exorbitantly. On Oct. 26, I will be outlining this problem and potential solutions at a roundtable discussion at the Securities and Exchange Commission. Smaller innovative firms play an important role in the capital markets by providing new approaches and engaging new technologies. Much like trading, compliance technology was developed in parallel, and firms like mine have produced high performance compliance and risk software that helps strengthen the broker-client relationship and protect market integrity. And like other providers in the financial industry, access to capital markets and timely data is paramount. We launched our firm a year into the financial crisis and as a small business owner I realize firsthand the challenges of growing a business in the ever-competitive universe of financial services and technology, where innovations such as automation of the markets have disrupted old brick and mortar businesses. The crisis brought new opportunities and requirements to the capital markets. It’s become accepted fact that technology today – and the innovation behind it – has largely leveled the playing field for investors of all sizes. Large investors have witnessed vastly lower spreads and smaller investors can buy any stock they want right from their mobile phone for just a few dollars in just a fraction of a second. This type of trading required a more technological approach to compliance within the broker/dealer community to meet these accelerated needs. But market data fees have exploded and is wrapped in a varied set of convoluted and ever-changing rules. By some estimates fees have risen anywhere from 250 percent to 300 percent over the past five years. It affects all investors of all sizes and serves to constrict the resources that allow firms to innovate on behalf of the investment community. As a percentage of costs, these fees hit smaller firms hard. Maybe even harder than the big firms – though large institutions such as Citadel, Vanguard and Morgan Stanley are certainly getting a massive bill each and every month from the exchanges (as they have been rightfully quick to publicly complain about). The mechanics are that when brokers buy or sell stocks, they need to know the best and most recent price to buy or sell a security. The catch is that there are two exchange data feeds for this, one public and one private. The private feeds are faster and a must have for most trading firms. Fees charged to brokers have skyrocketed even though brokers have no place else to turn for the data. Compliance systems also make use of such data for reference pricing but to a lesser extent than those engaged in trading. However faster more accessible data can only improve the compliance function. Understand that for trading firms, data is the raw material that allows them to have a commercial offering that contributes to the level playing field. Data is to trading what crude oil is to gasoline – without it you have no product. This is the same for compliance, the importance of data analysis is only increasing, it requires automated tools to keep pace and this means additional costs. Convoluted exchange pricing schemes with no alternatives only provide economic barriers to competition, innovation, overall firm compliance and the overall safety of our markets. Now lest you are not compelled to feel sorry for anyone who works on Wall Street, the scariest impact of these data fees might be on Main Street, for it is an economic certainty that as the price of raw material increases, so does the cost of the end-product. If the price of crude goes up, you can be sure the price of gas at the pump will increase and trading stocks is no different. So for the buyside institutions that trade tens of millions of shares – such as public and corporate pension retirement plans, university endowments and college savings plans, these exchange data fees exact a significant cost on these institutions through these increasing costs. As much as anyone, I appreciate the valuable role that America’s equities exchanges play in the national market system, the numerous benefits provided by lit exchanges — including transparency, efficient trade execution, and in providing investor confidence. I am just a single voice but I have run a small business long enough (and seen too many others go out of business in a hail of data fees) to know the exchange data fee issue is something the Securities and Exchange Commission needs to fix for everyone in the investment ecosystem, large and small. This is an important issue we must get right. The exchanges will tell you that it is a free market and any attempt by the SEC to modulate these fees is price fixing by the government. But free market forces and unfettered competition in market data does not exist and just like during a natural disaster (in this case a national disaster), the government steps in to ensure fair prices to avoid price gouging. 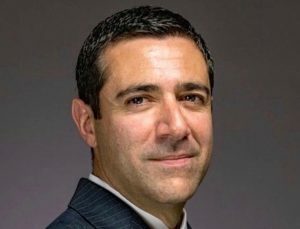 Anthony J. Masso is president and CEO of Succession Systems in New York City, a global provider of compliance, trading risk management, and market access solutions.